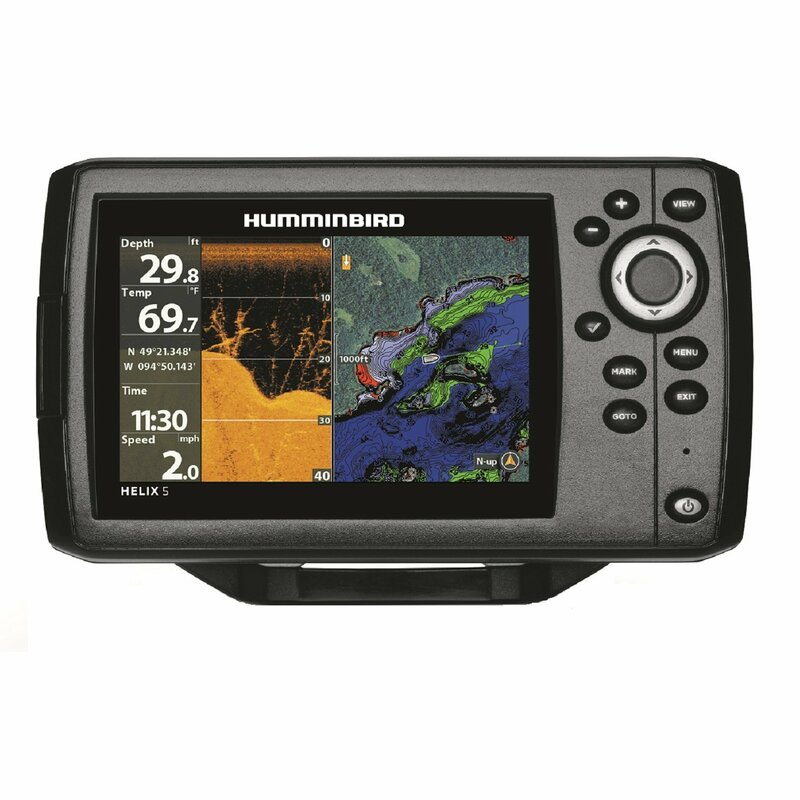 Humminbird PiranhaMAX 195c has an average rating of 2.8 out of 5 based on 5 user reviews. The Humminbird PiranhaMAX 195c features an easy-to-use interface, depth alarms, fish alarms and smooth zooming capabilities. All you need to do is mount the Humminbird PiranhaMAX 195c, and it displays everything on the Color TFT screen. The PiranhaMAX 195c system utilizes features such as a dual beam, fish ID, sonar beam. The 195c is solidly made hence it can survive accidental falls. The Fish Alarms sound once the fish is detected by the fish finder. The mechanism behind the Dual Beam is that a narrowly focused middle beam is surrounded by another second beam of 60º. This expands the coverage to an area equal your depth. It means that if you are in a place with 20 feet depth, the wider beam will cover an area 20 feet wide. The middle/center beam is mainly focused on the bottom part of the water; this shows your structure, cover and weeds. The second beam’s main function is to locate and find fish in the wider area of coverage. Both beams can be used independently, but for better, clearer pictures, both are combined for use. Everything going on underneath the boat is brought onto display. The PiranhaMAX display is nice and readable in bright sunlight. The device is weather resistant and can easily be connected or disconnected without the worry of tangled wires. The mounts are twist and swivel which provide the option for different viewing angles. The screen is vivid and does not reflect objects within its field of view. Fish ID utilizes very advanced processing technology to translate/decode what the sonar returns. Once interpreted the display shows fish symbols when selective requirements are met. A Fish icon and its depth are displayed when the fish is detected. There are three different fish icons that represent the varying intensities of the sonar returns, this provides the relative fish size. The Dual Beam in the PiranhaMAX 195c represents targets that are within the 200 kHz beam and for this, Orange Fish symbols will be displayed on the screen. Fish symbols detected in the 83 kHz zone will be displayed as Blue. You can get a great deal on Humminbird PiranhaMAX 195c here. I picked this unit because it was cheapest color fishfinder I could find and I’m not disappointed. This is a very solid sonar at very good price. You will be impressed what this little unit can do. The screen is very readable even though it’s small. The fishfinder allows to select ping speed which is a great feature for a budget sonar. This was my first depth finder purchase and I have to say I’m disappointed, I got fooled by the positive reviews on the internet. The fishfinder gets confused at higher speeds and higher depth. This could be because I installed it incorrectly, I put the transducer near the propeler. And to make matters worse the display is small and not easily readable. Bought my Humminbird 197c at Walmart rigged it on my kayak and went fishing off long beach ca where it worked like a dream. Then the second time I went out it will not work it has a message of “transducer is not connected” I checked all connections changed battery and finally removed it and tried it in the water without the kayak still not working. Factory techs gave me some things to try still not working. Unless some one can tell me how to fix it its junk.